1. Peeta decided to clean up the passed out Haymitch himself. Katniss initially thinks he may be trying to get on Haymitch's good side but decides he must be doing it out of kindness. She states, "A kind Peeta Mellark is far more dangerous to me than an unkind one." What does she mean and why is this true? 2. After throwing out the baker's cookies, we are treated with another flashback showing how skilled and comfortable Katniss becomes in the woods. Why might we be reminded of her abilities? 3. Katniss recalls her father's words concerning the plant she was named after. "As long as you can find yourself, you'll never starve." What did he mean? What other meaning might this quote have in reference to the games? 4. During the breakfast scuffle between Haymitch, Peeta, and Katniss, Haymitch remarks, "Well, what's this?...Did I actually get a pair of fighters this year?" What does this tell you about why previous District 12 tributes might have lost? What does it foreshadow about this year's tributes? 5. Haymitch does not allow Peeta to put ice on his bruised jaw. What reasons does he give? Why would these be good reasons to allow the bruise to show? 6. Haymitch advises Peeta and Katniss to cooperate with the stylists no matter what they do. Why is this important? 7. 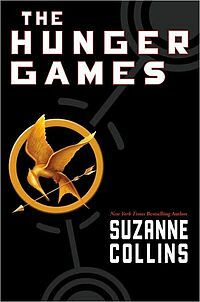 What does Peeta do at the end of the chapter that leads her to distrust him more? Why does she feel this way? Do you think Haymitch was a member of the rebellion from the beginning of the series? Do you think Cinna was a member from the rebellion before he got the job as stylist? If yes, do you think they knew about each other before the games began? Do you think this might have factored into why Haymitch told Peeta and Cinna to not resist their stylist?